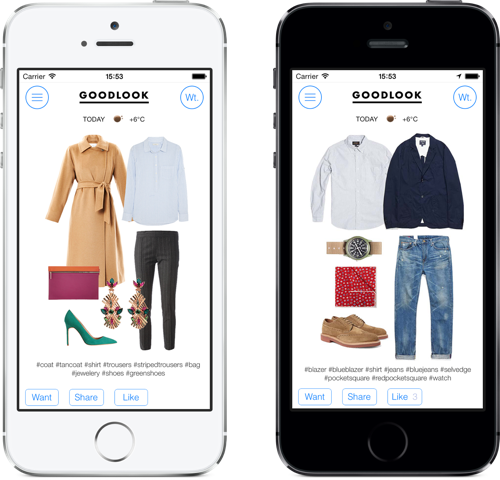 Goodlook is a lifestyle guide about what to wear, where to buy it, and how to keep up with trends tailored to the user’s location. Every day stylists offer several looks for men and women, based on your location and weather conditions. You'll always look fresh with Goodlook.